Central Outdoor is a division of the Central Media Group. 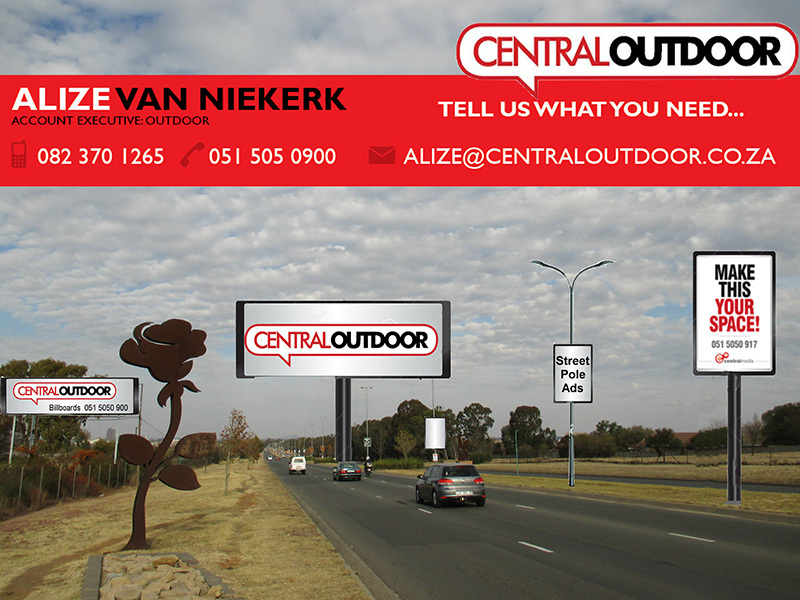 We provide our clients with a range of amazing outdoor advertising opportunities, with brand exposure, primarily into the Free State, Northern Cape, Northwest and the Vaal Triangle. Outdoor advertising gives you constant exposure day in and out while building your brand. From spectacular billboards to street pole advertising, we have it all.